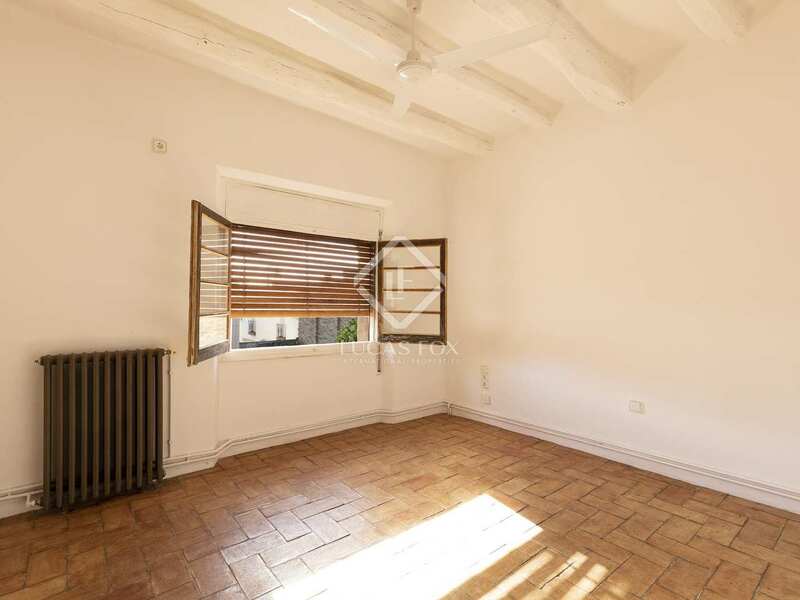 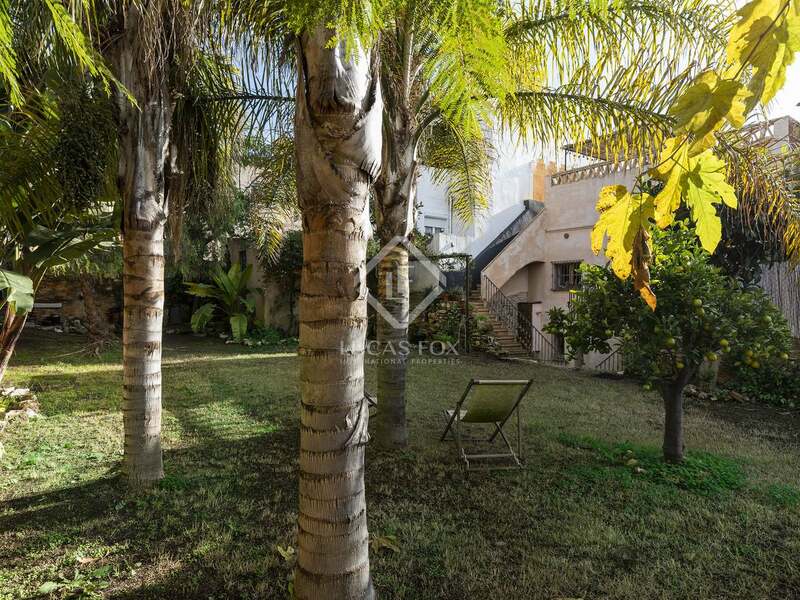 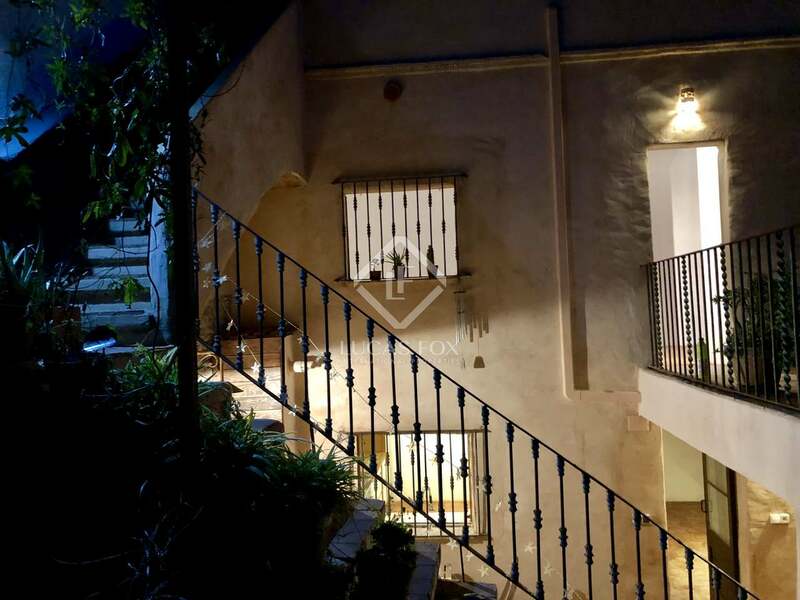 This stunning village house is located in the beautiful old quarter of Sant Pere de Ribes. 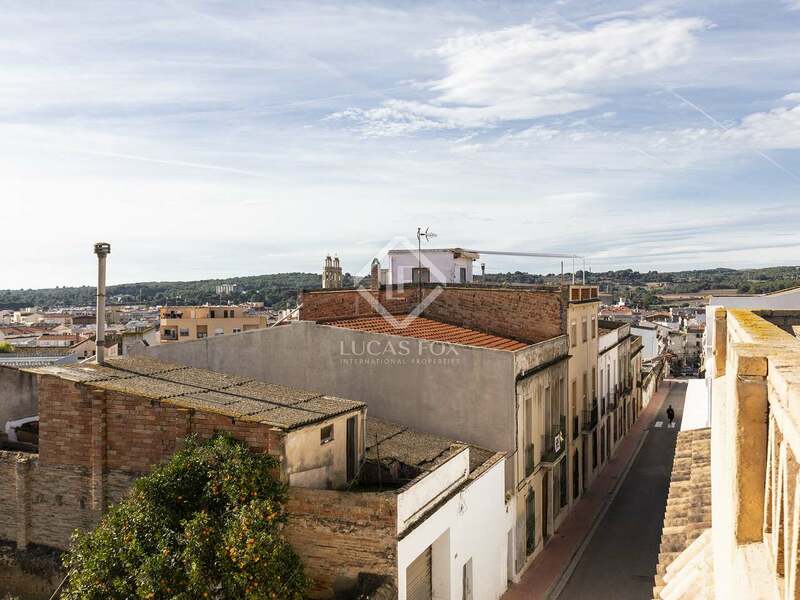 This village, just a few kilometres inland from Sitges, is surrounded by nature with country walks amongst the vineyards. 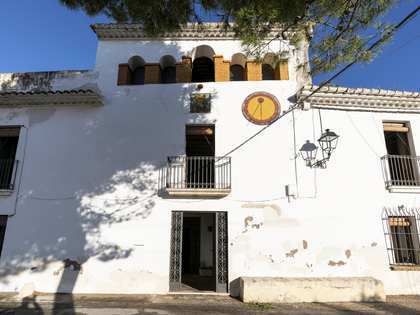 It has all amenities including local restaurants, an attractive village square with cafés and terraces and a cinema showing original version films. 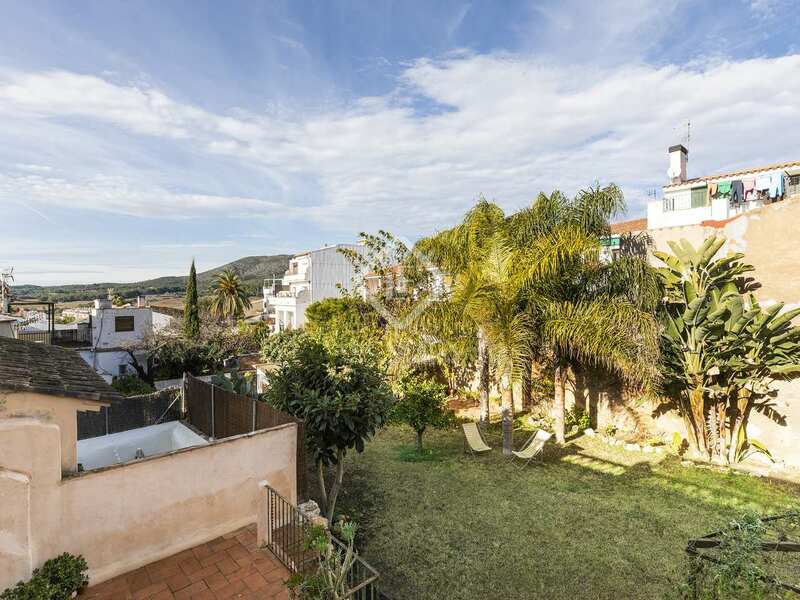 With easy access to Sitges, Barcelona and the airport, it is a beautiful yet convenient location. 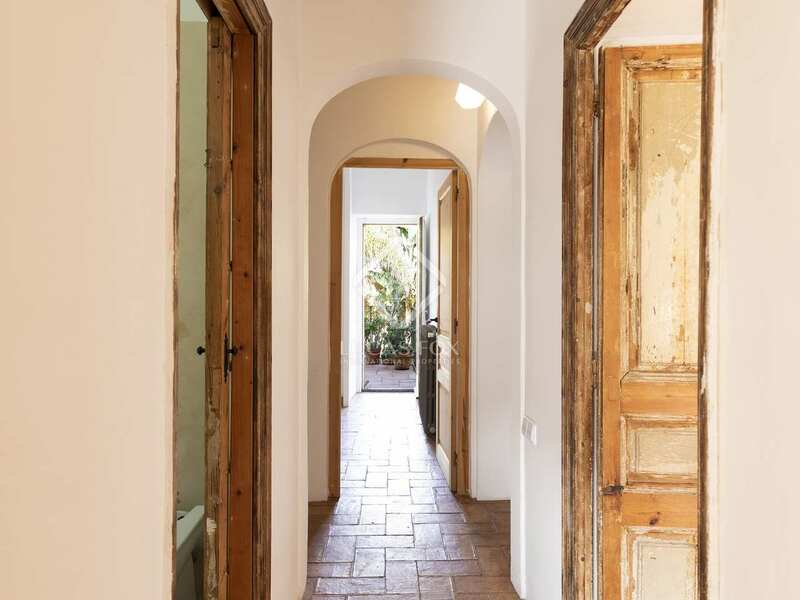 Charming original features such as white washed original wooden beams and terracotta clay floor tiles have been combined with modern touches to create a beautiful home which has featured in interior design magazines. 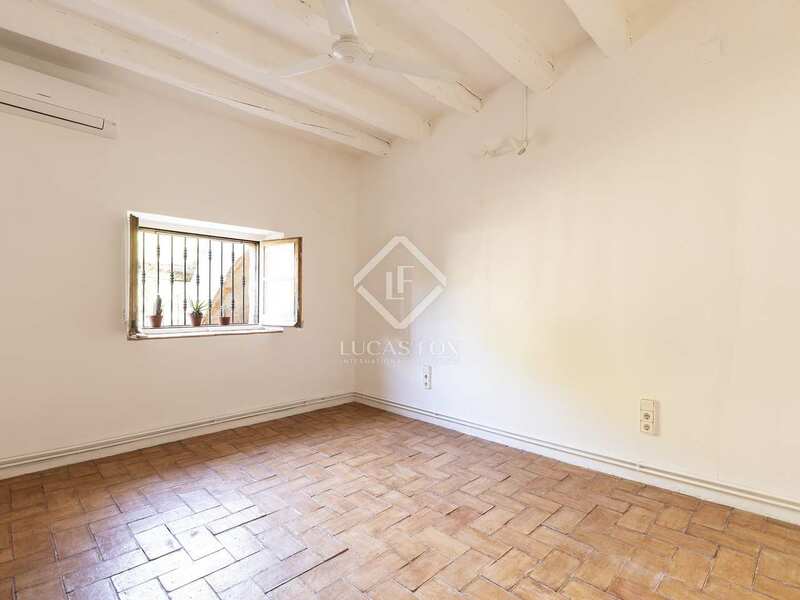 The ground floor has a semi open-plan layout with, to the left, the dining room and, to the right, a living area with open fireplace. 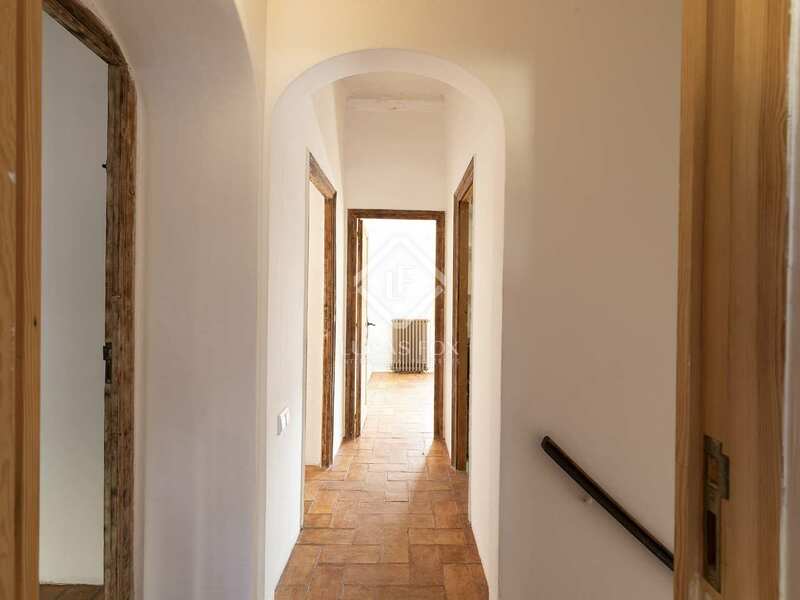 A second living room which connects to the courtyard is reached through an arch and to the right a good sized modern kitchen, large enough for a table for 6 people. 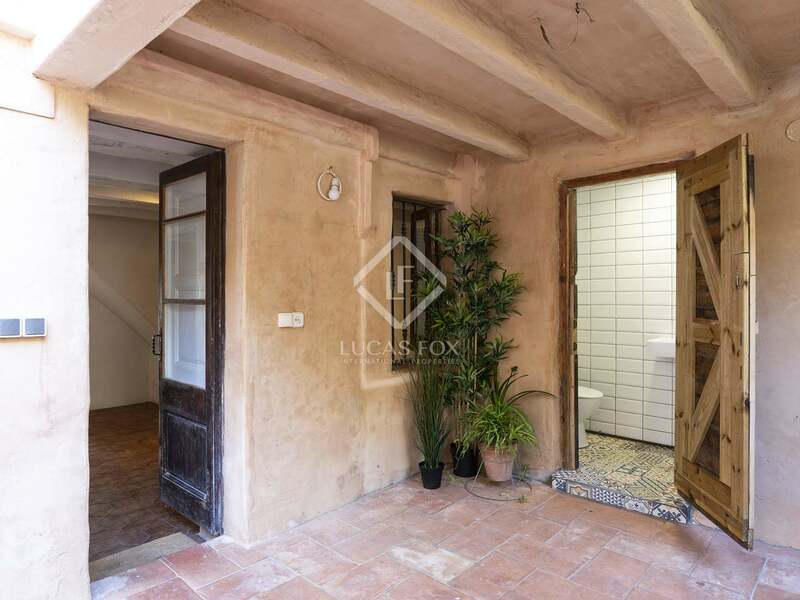 The partially covered courtyard with a WC and shower, laundry area and separate storage room has steps leading up to the garden and the roof terrace. 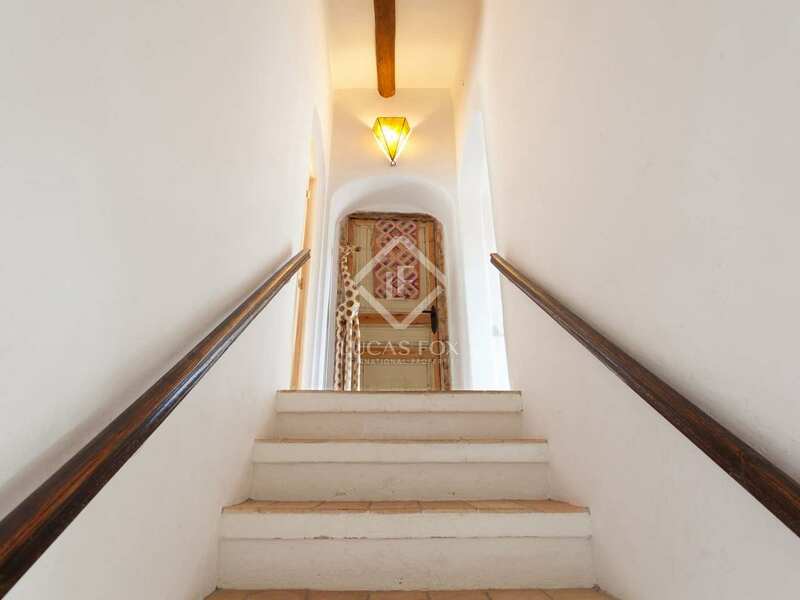 Heading up to the first floor we find the 4 large double bedrooms with space to add extra ensuite bathrooms if necessary. 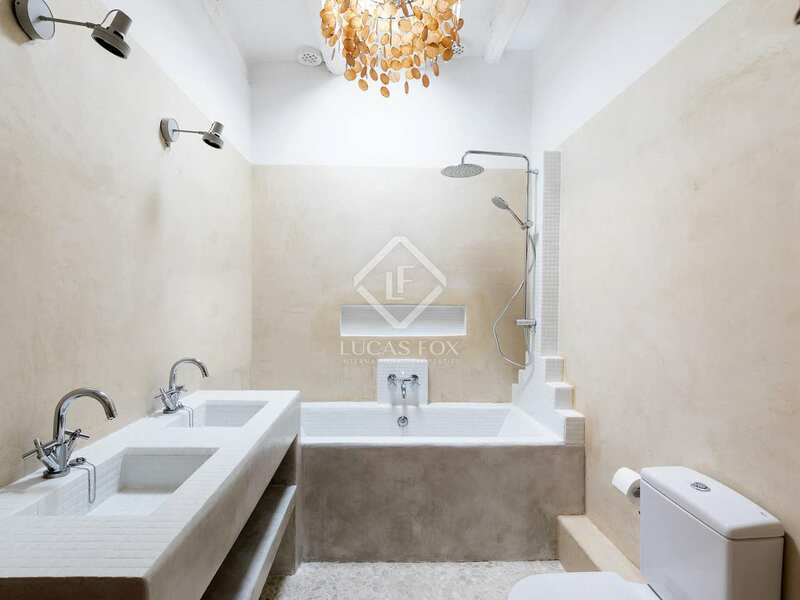 There is a communal, Moroccan style bathroom with a bathtub and shower. 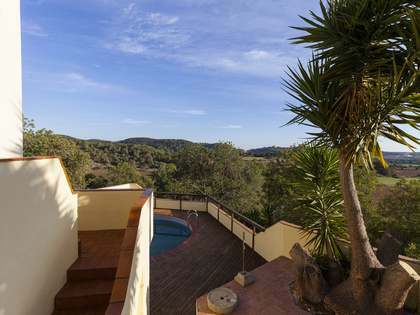 One of the bedrooms has access to a large terrace with steps down to the garden. 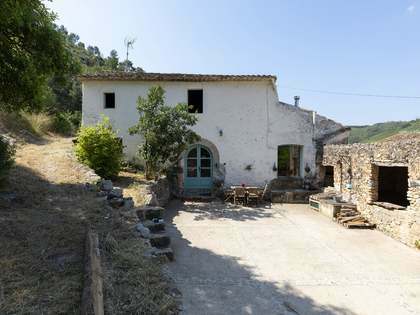 The extremely thick old stone walls mean the house stays cool in the summer and warm in the winter. 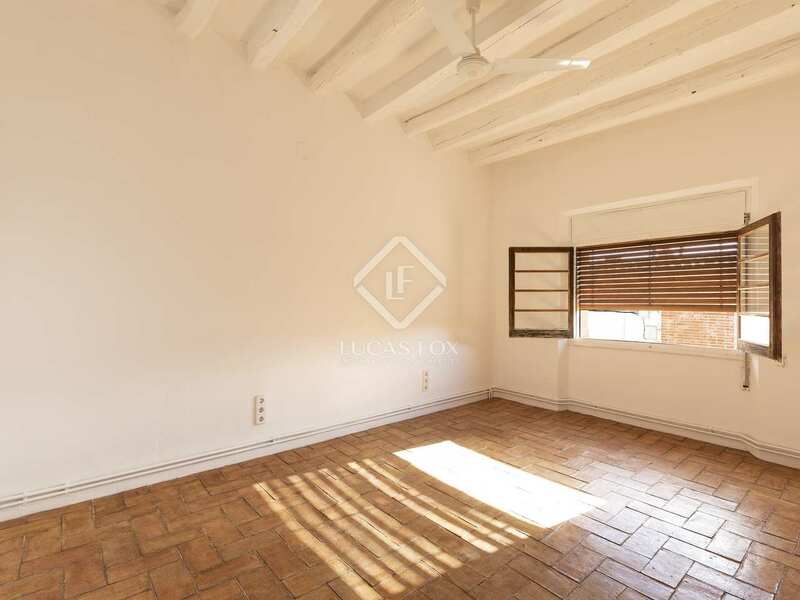 For further year round comfort there is gas central heating with beautiful wrought iron radiators and ceiling fans in the bedrooms as well as newly installed air conditioning. 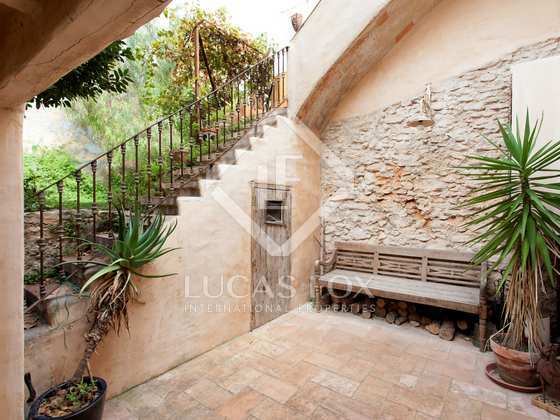 Outside steps up from the courtyard lead to the lush garden which is also a separate building plot with permission to build another house. 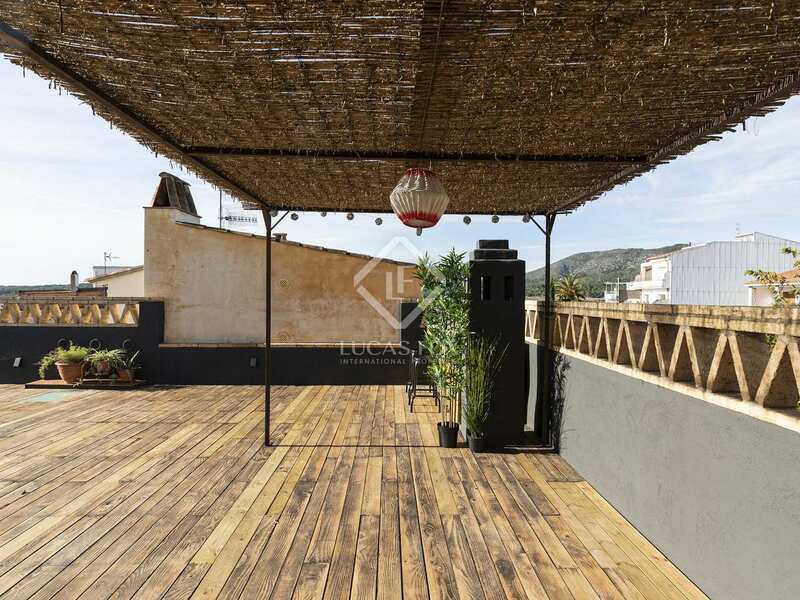 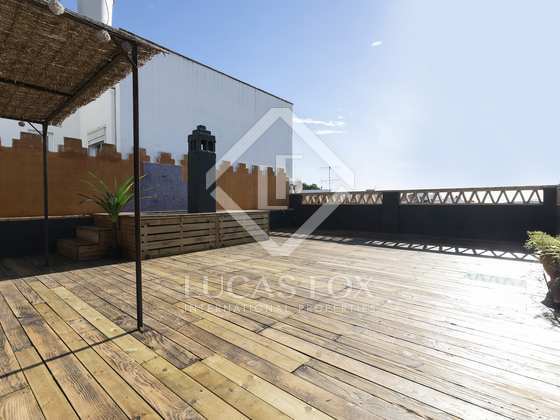 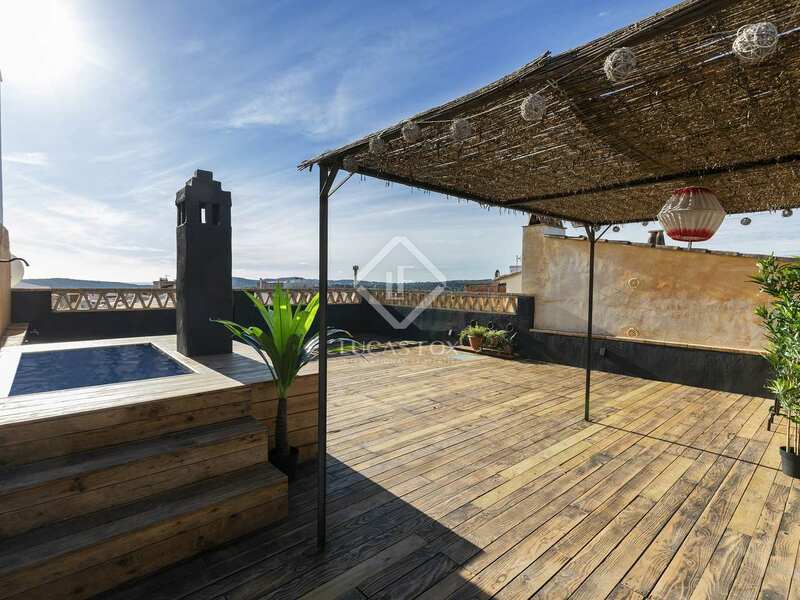 The 100m² roof top terrace has a pergola, plunge pool and beautiful views of the Sant Pere landmarks and the mountains and sea in the distance. 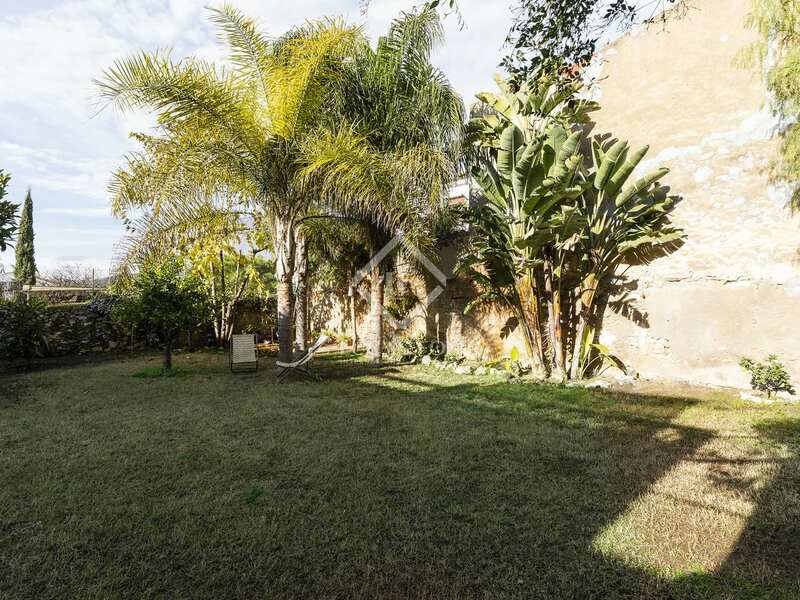 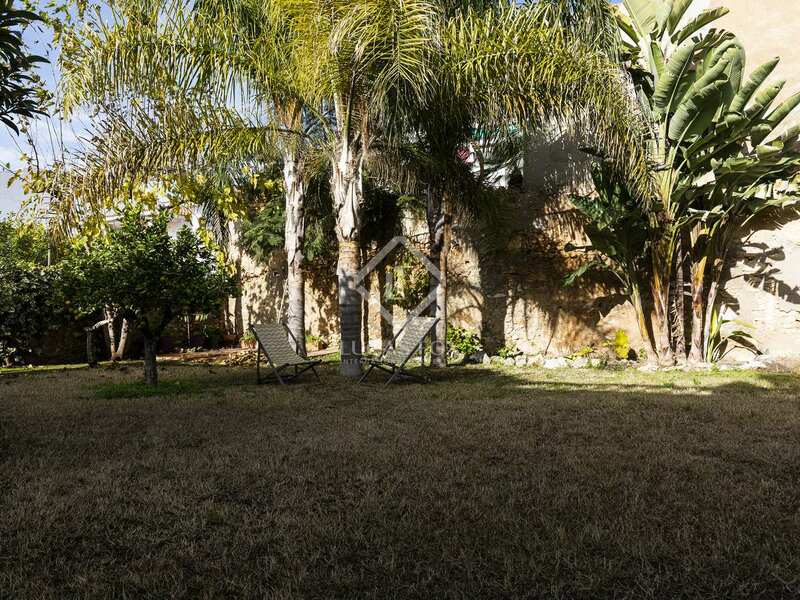 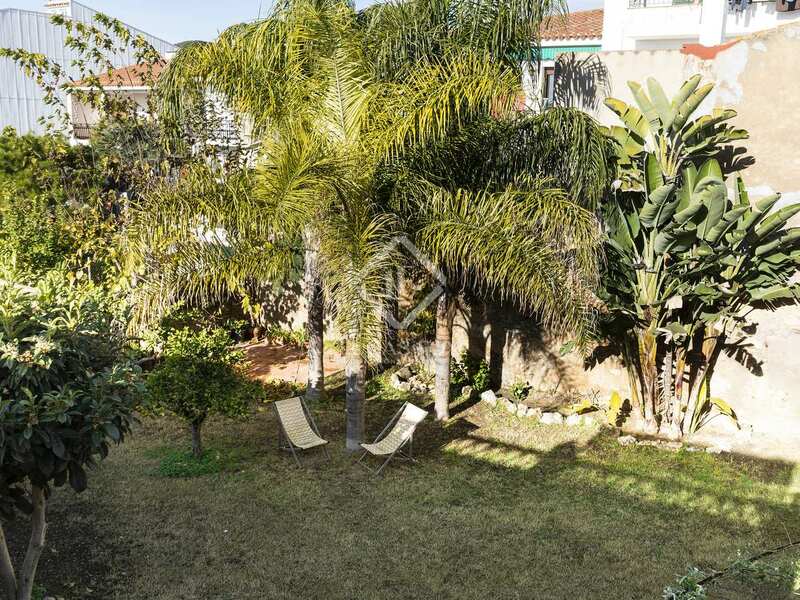 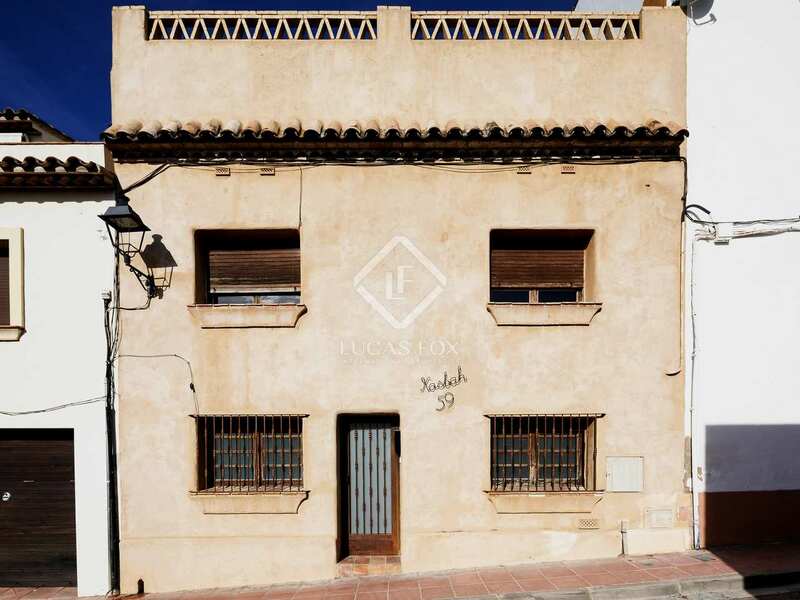 A lovely family home or, given that this property has a tourist licence, an exciting investment opportunity in Sant Pere de Ribes. 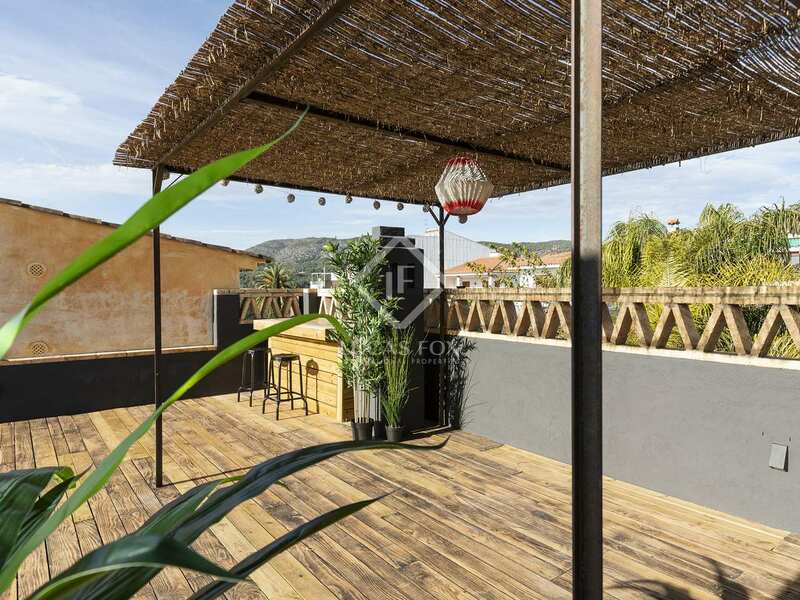 Sant Pere, just 3km from Sitges, is a real Catalan town with local shops, bars and restaurants and there is a lovely outdoor market on Fridays. 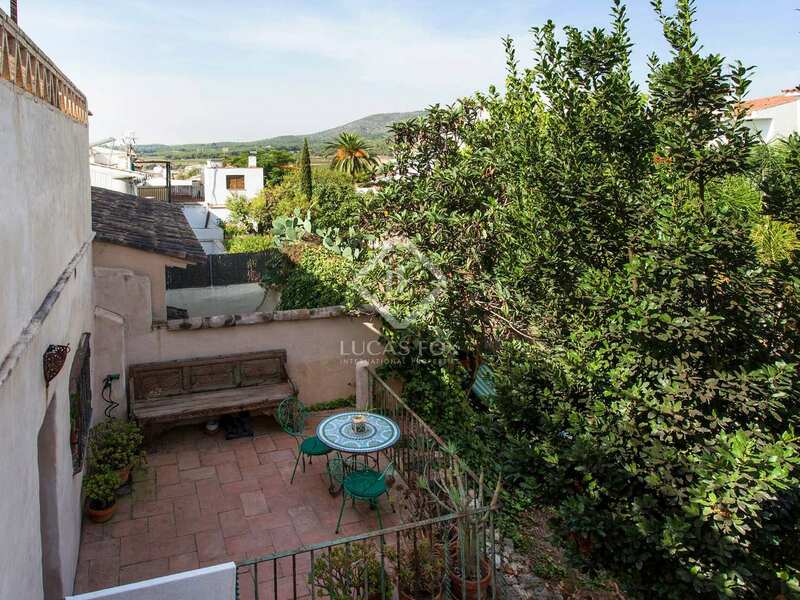 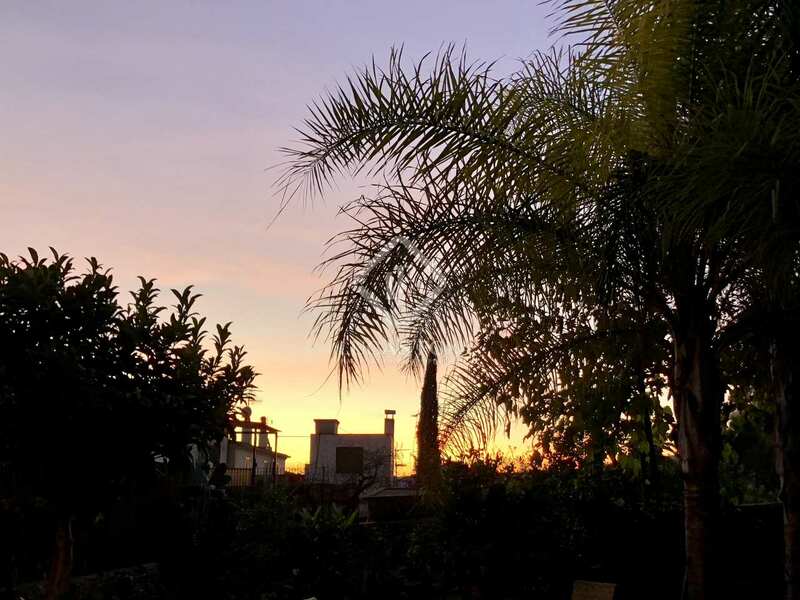 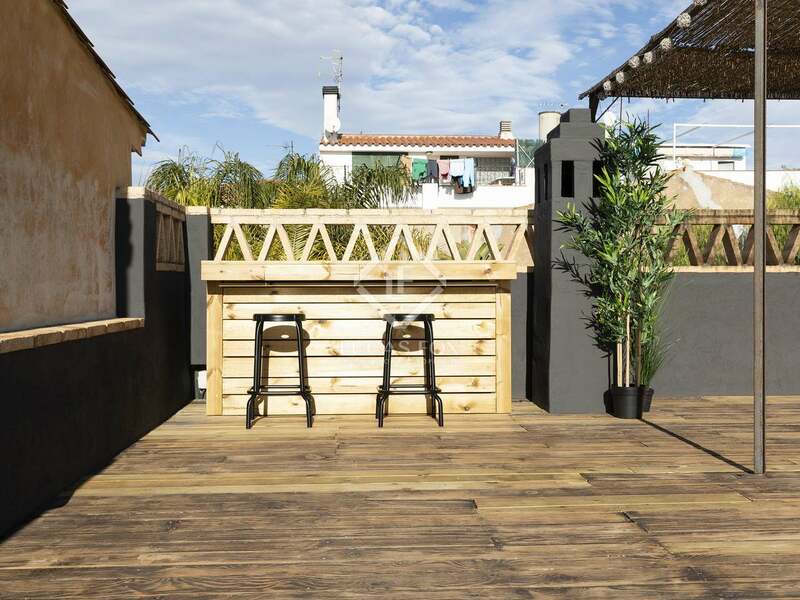 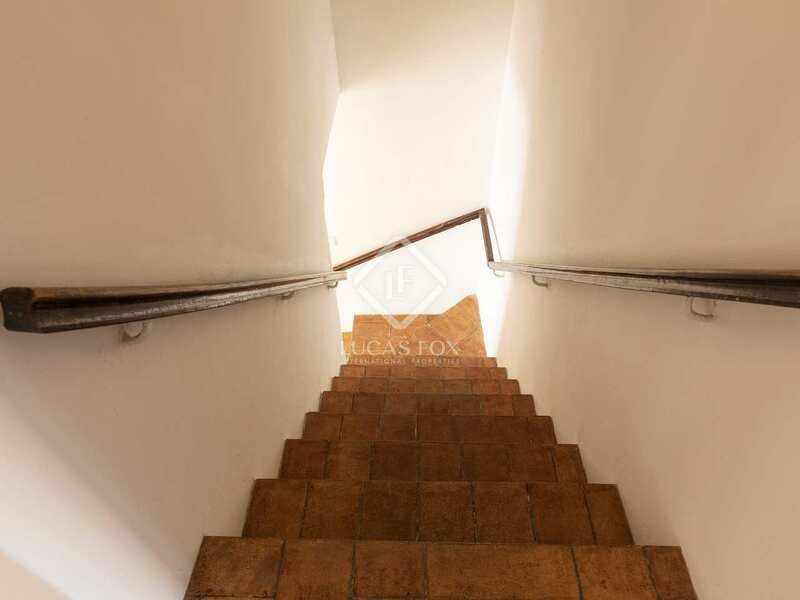 From the house you can walk to the shops, local supermarkets, bakers, bus stop to Barcelona and Sitges and typical local restaurants or sit in one of the pleasant terrace cafés in the main plaza just a 2-minute walk from the house. 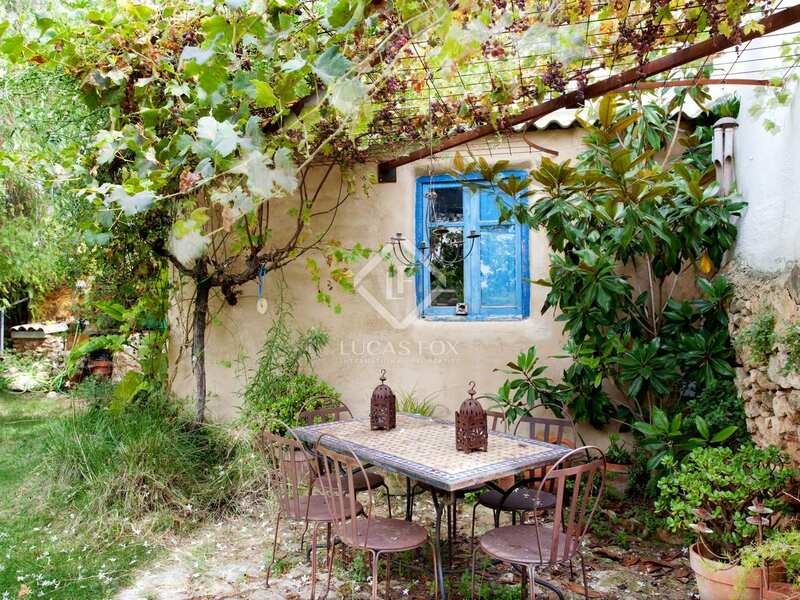 There are also many pretty walks through the vineyards or dry river beds in the surrounding countryside just a few minutes walk from the house. 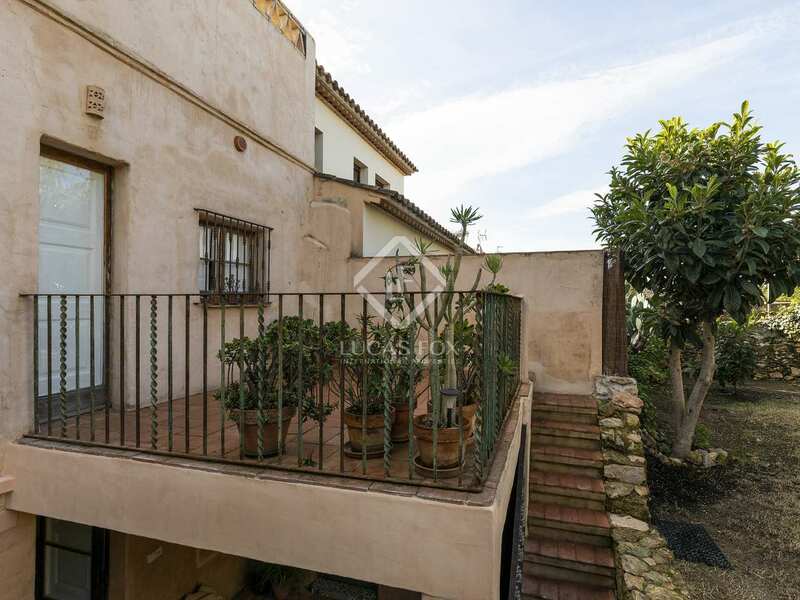 Sitges is 5 minutes away. 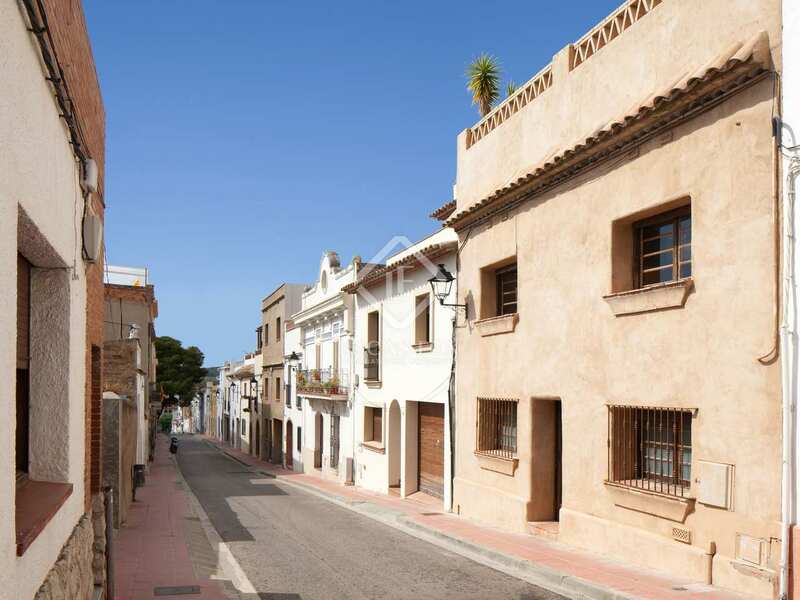 Buses run direct from Sant Pere to Sitges and the airport as well as Vilanova, another lovely coastal town 5km away. 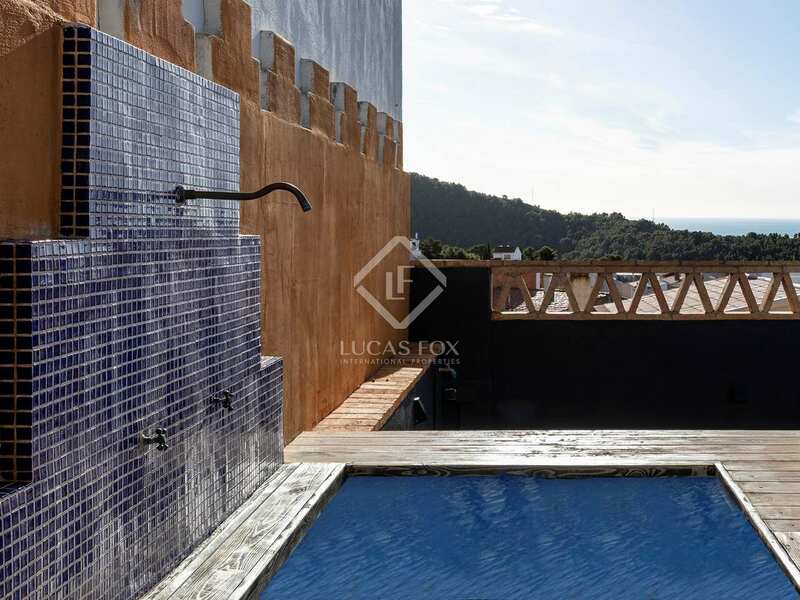 Barcelona is a 45 minute bus ride from Sant Pere de Ribes and there are even hourly night buses back from the city.